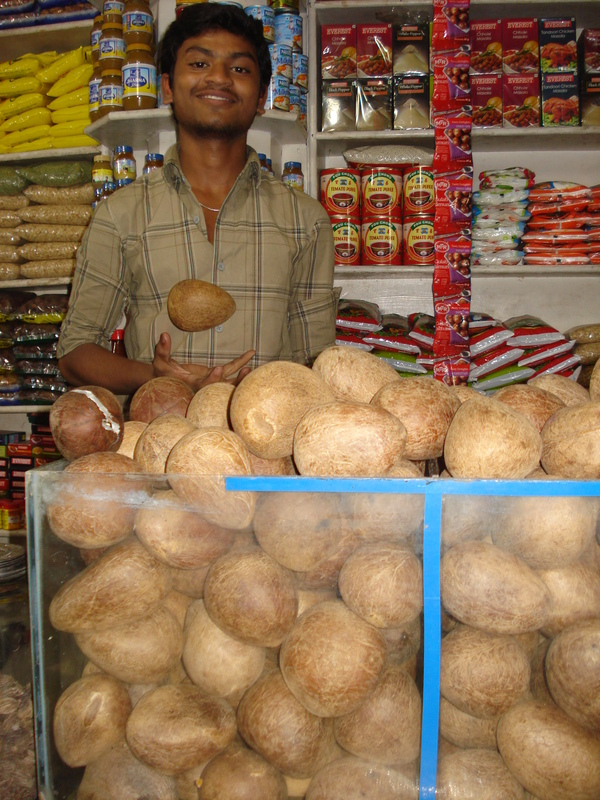 Mature coconut meat is sold in the market whole, with the shell removed. I buy my coconut with the shell, as the meat is fresher than that above. Rasam is a South Indian soup. There are many different types of rasam, but the common ingredients tend to be tamarind juice, mustard seeds, cumin seeds and curry leaves. After discovering tomato rasam, coconut milk rasam is now my daughter’s favorite. * hing most often is sold in a mixture of some wheat flour. Leave out if you are gluten-free. Immerse tamarind in 1 cup warm water. Using your hands, remove any hard material from the tamarind, including the seeds. The tamarind juice remains. In a medium-large pot on medium-high heat, add cooking fat and then mustard seeds. When they start to sizzle and pop, add the hing, turmeric, rasam powder, curry leaves and tomatoes. Saute for 1 minute. Add the tamarind water and 2 more cups of water. Bring to a boil and simmer for 15 minutes. Add coconut milk and salt. Allow to come to a light simmer. If coconut milk is homemade, do not boil coconut milk; otherwise it will curdle!